About TOLOnews | . :: Elections 2014 ::. Its apolitical format is trusted and respected by audiences, and its programs provide an unparalleled level of in-depth current affairs coverage spanning across Afghanistan’s political, cultural and regional interests. In Afghanistan, TOLOnews often breaks stories that lead regional and international headlines. More importantly, it is reaching Afghans in remote provinces as well as connecting those in the global diaspora. Boasting the largest newsroom in the country, TOLOnews has recruited over 100 news professionals that now lead the development of the Afghan media industry, which was nonexistent less than a decade ago. 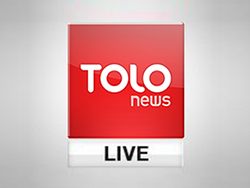 TOLOnews broadcasts in Dari and Pashto, and is available via the internet and social media in English, Dari and Pashto. It’s website, www.tolonews.com, is one of the most popular news sites in Afghanistan.